WhereThe cruise departs and returns to the Royal Landing on the water's edge. Guests or SpectatorsVisitors not booked on the cruise are welcome to browse the curio shop at the Royal Landing, or purchase refreshments while waiting for the cruise to return. 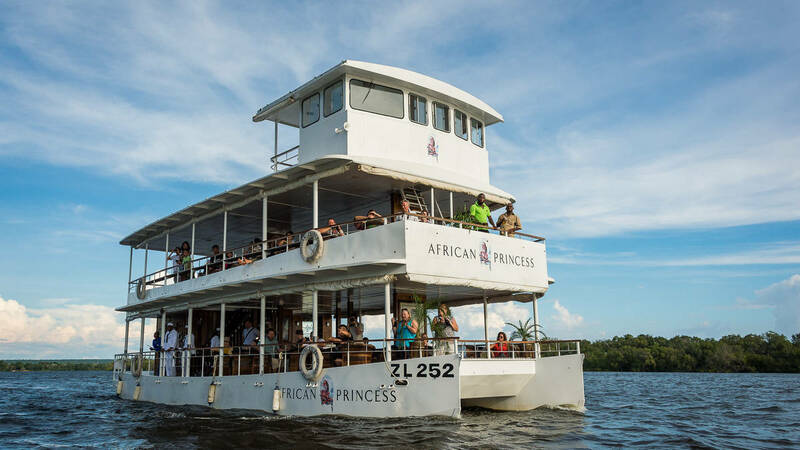 Our sunrise cruise promises not only the early morning yawn of the hippo, the cry of the fish eagle and reflections on still water, but a sumptuous breakfast fit for royalty. Our breakfast cruises are by pre-arrangement only and require a minimum of 20 guests. Transfers leave at 07h00, the cruise departs at 07h30 from the Royal Landing. The duration of the Cruise is 2 hours. Return to the hotel at approximately 10h00.